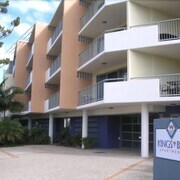 Nice appartment; closed to the buses, town and the Only a short walk to King beach; walking distance to the town and supermarket. Are you the kind of traveller who prefers to roll like Kimye or keep things chill? 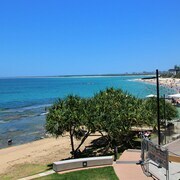 No matter your vibe or budget, lastminute.com.au has a sweet range of hotels to take your pick of in Kings Beach, 1 kilometre from Caloundra. Get a feel for the vibe of the city by visiting its sights. The Australia Zoo is the most popular attraction in Caloundra, and it's definitely worth a peek. Nothing quite matches the joy of sitting by the water. 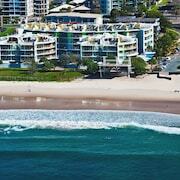 Make sure you visit Shelly Beach. 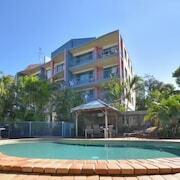 If you're hoping to hit the hay close by, two sweet choices are the Aspect Caloundra and Rumba Beach Resort. Grab your towel, sunnies and thongs, and make the trip to Moffat Beach for a relaxing time in the sun. 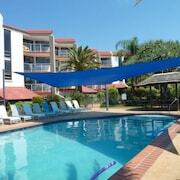 Accommodation options to check out around here are the Portobello By The Sea and Pumicestone Blue. What are holidays for if not spending? 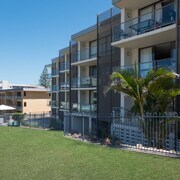 The Salt On Kings Apartments and Meridian Caloundra are lastminute.com.au's picks for those travellers who don't mind throwing down a little extra dosh. 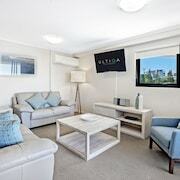 Why not grab your mates and organise the first night of your getaway over a coffee at Beau's? It's not too far away, and there's plenty of sweet treats to keep you on track. When your stomach really begins grumbling, toddle on over to Meridian Caloundra and check out their mouthwatering menu. Now you've warmed up, we're guessing you wouldn't say no to a few bevvies at Star Trax Karaoke. It's a great place to debrief on the day's adventures. 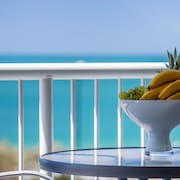 If you and the squad are having a hard time finding the right room in Kings Beach, have a squiz at our Battery Hill hotels guide. 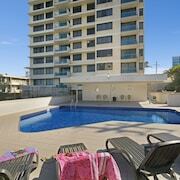 Alternatively, our lastminute.com.au Pelican Waters hotels guide will sort you out. Nothing's better than stepping off a plane and into a new and unfamiliar place. 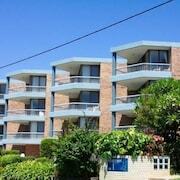 Hotels, flights, experiences, rental cars — you name it, lastminute.com.au will make it happen!